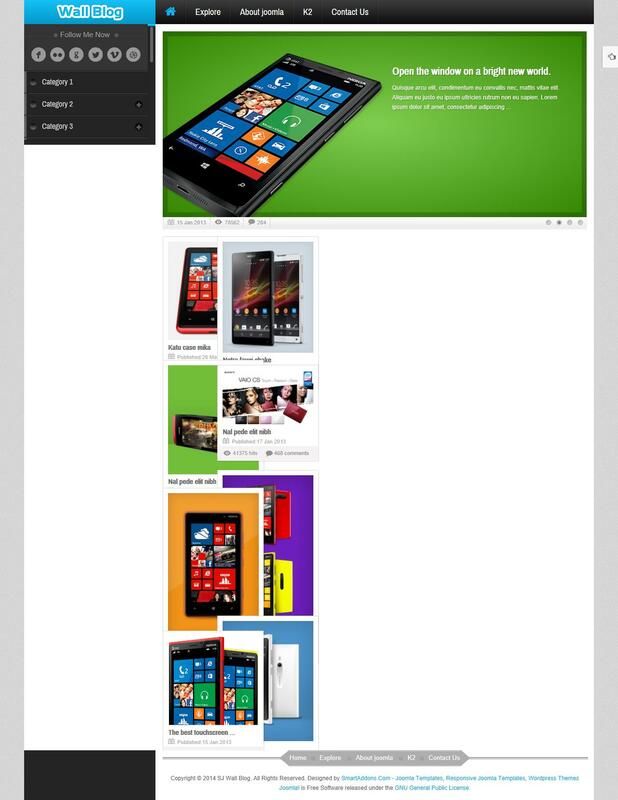 SJ Wall Blog - stylish blogging template for Joomla 2.5 from professional developers SmartAddons. Impressive design template includes 5 preset styles (blue, green, purple, orange and red) are adaptive features that allow pattern correctly displayed on the screens of all devices. Integrated control panel settings allows you to quickly and easily customize the look of the site. For visual presentation materials used in the template branded modules SJ K2 Slideshow and Sj Responsive Content for K2, allowing a flexible way to display the contents. Integrated support for K2 component significantly increases the potential and possibilities of the template.